Now with a brand new split Heating/Air Conditioning system! 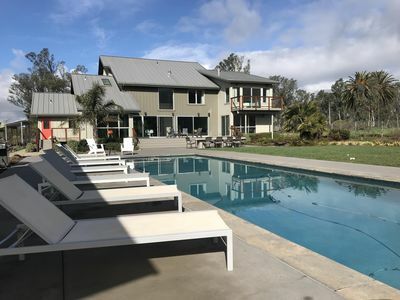 Nestled in the heart of the Sonoma Valley Wine Country known as the Valley of the Moon, this beautiful gem boasts all the comforts for a perfect wine country escape. 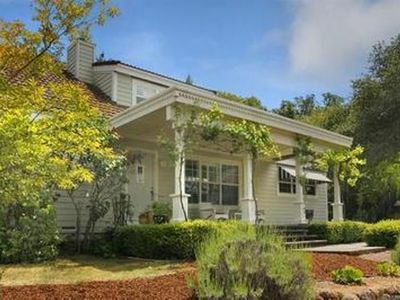 The property straddles the boundaries of the quaint villages of Glen Ellen and Kenwood, which is how this country property got its name. 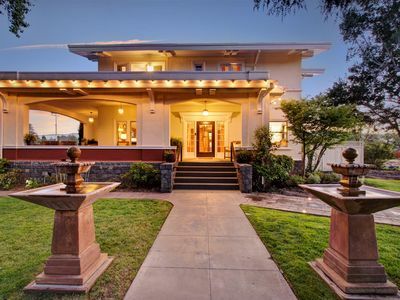 This home has been lovingly owned and cared for by the same family since 1975. 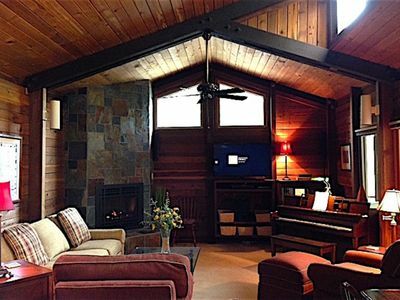 An immaculate 840 square foot tongue-in-groove redwood retreat with open floor plan, soaring exposed beam ceilings and clerestory windows awaits you. The rich wood interior and lovely greenery seen through the windows gives you the feeling of being in a tree house. 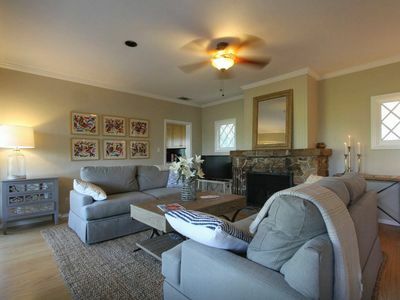 We take pride in providing you with a home that is clean, comfortable and well maintained. You are only minutes from fine and casual dining, shopping, dozens of wineries, state parks, golfing, a seasonal pool and a gourmet market! The living room is tastefully appointed with custom furniture, including two matching over-sized club chairs, large ottoman and couch. 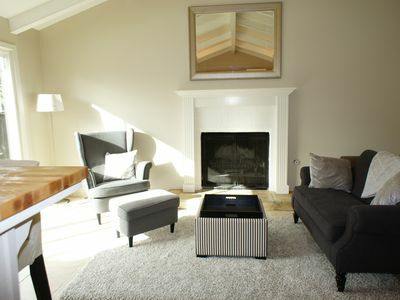 There is a gorgeous floor to ceiling slate gas fireplace in the corner of the living room that can be enjoyed from the dining area and kitchen. It has a raised hearth for additional seating and, with one press of a button, you’ll experience a cozy fire for ambiance and heat. There is a 48” flat screen Smart TV with remote that is connected to a home theater system that includes a CD/DVD player and radio with surround sound. 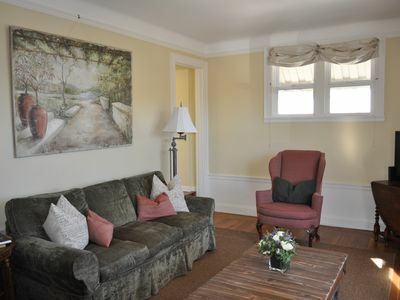 Complimentary wireless Internet will help you keep in touch with home and browse for local attractions. For those less technological moments, we keep many games and paperback books on hand for our guests. Like to tickle the faux ivories? 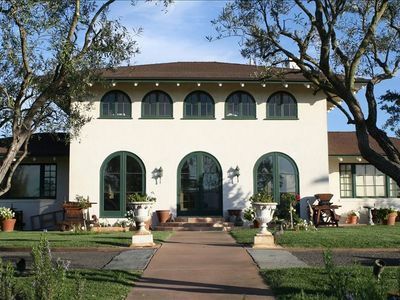 There is a lovingly cared for walnut studio piano and plenty of sheet music to while away the hours after a day of wine tasting, spa treatments, hiking, golfing, shopping or sight-seeing. 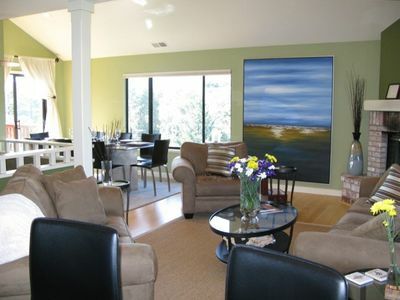 The dining area overlooks the yard and features a wood table and chairs to seat 4-6 people. 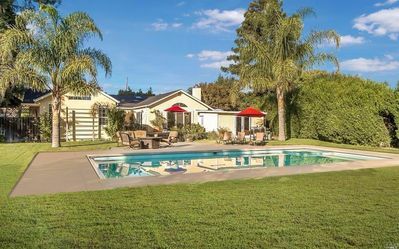 The remodeled and fully equipped kitchen has a breakfast bar with seating, maple cabinets, granite counter tops, stainless steel sink, full-sized appliances and a glass top electric range with oven. The cozy master bedroom has a queen bed with a 3” deep comfort foam topper for extra support and a good night’s rest. Linens are of excellent quality and kept spotless. There is a 18" flat screen TV/DVD Player with remote that sits on top of a new, extra large cedar lined bureau. A coordinating 5-drawer lingerie chest completes the ensemble. A small closet with a cedar-lined floor is available for your convenience. Wooden 2” slat blinds keep the room dark for late sleepers and makes your room ultra private. The second bedroom is furnished with new cherry twin bunk beds. All bedding is of good quality and kept exceptionally clean. The room also has a small closet with a cedar-lined floor. There is vintage maple writing desk for your use. A stunning Italian tiled bathroom is located between both bedrooms. It has a deep tub with a fixed and hand held shower-head. The tub and shower area are partially enclosed by a glass block exterior wall with windows that afford privacy while letting in plenty of light and the natural beauty of the property. Plush, white 100% cotton towels are kept in perfect condition for your use. There is a full sized washer and dryer available for light loads. Glenwood Lodge has a gorgeous covered wrap-around deck. Comfortable chairs with a coordinating love seat are provided to give you a front row view to the best Mother Nature has to offer. You will find a Weber kettle charcoal BBQ, gas grill and a picnic table for al fresco dining on the upper patio. 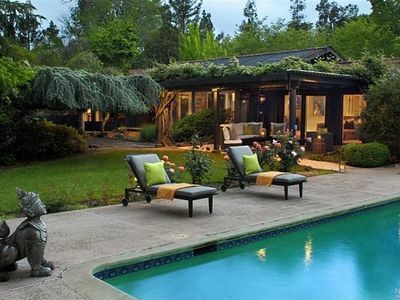 Down below, the lawn area is perfect for relaxing, picnicking or a leisurely game of croquet. 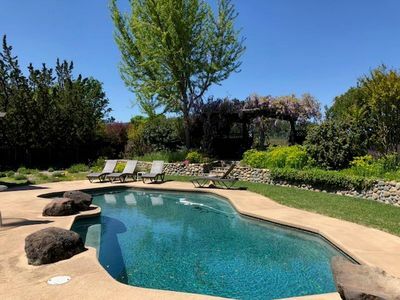 This well tended property is lush with a variety of plants, shrubs and trees including two Big Leaf Maples that are native to California, a Chinese Pistache, Fir, fledging Olive, some grape vines and is flanked by oaks and a variety of other trees. Whether you are here to take in the sights, rejuvenate, wine taste, golf, shop or enjoy fine dining, Glenwood Lodge is the perfect retreat while you explore all that this beautiful region has to offer. 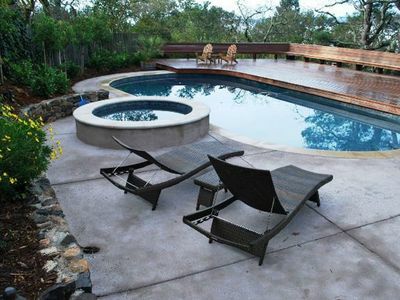 Bright and spacious home on half acre w/pool, hot tub, great entertaining house!